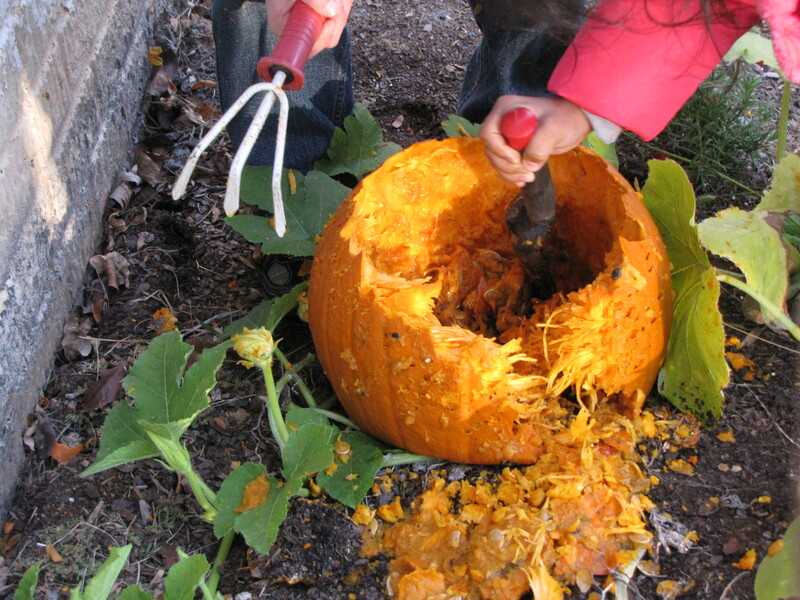 While we were outside, we chopped up our rotting Jack-o-lanterns and Halloween pumpkins and made pumpkin “soup”. A few garden tools, a rotting pumpkin and a friend make for a great afternoon activity and an impromptu lesson on decaying plant matter. 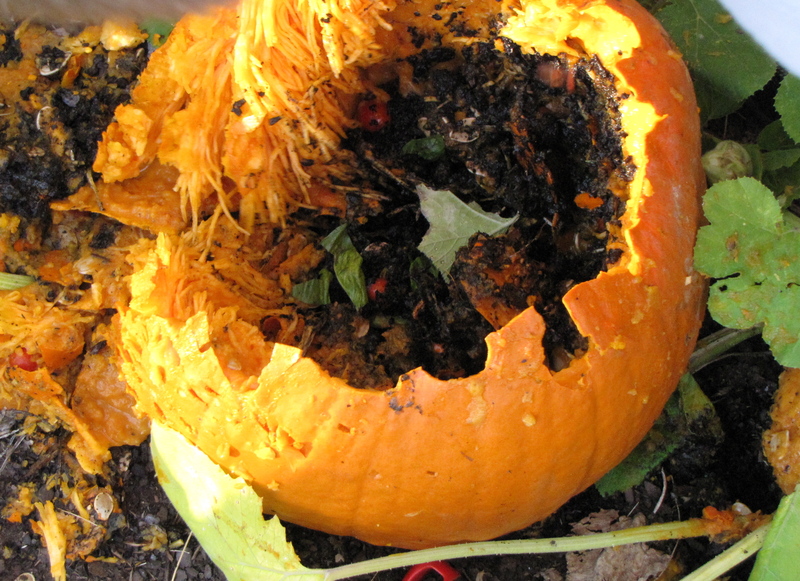 Add dirt, leaves and some rotting cherry tomatoes to make a deliciously stinky pumpkin soup! Did I mention it was sunny every single day with weather in the high 50’s and low 60’s? 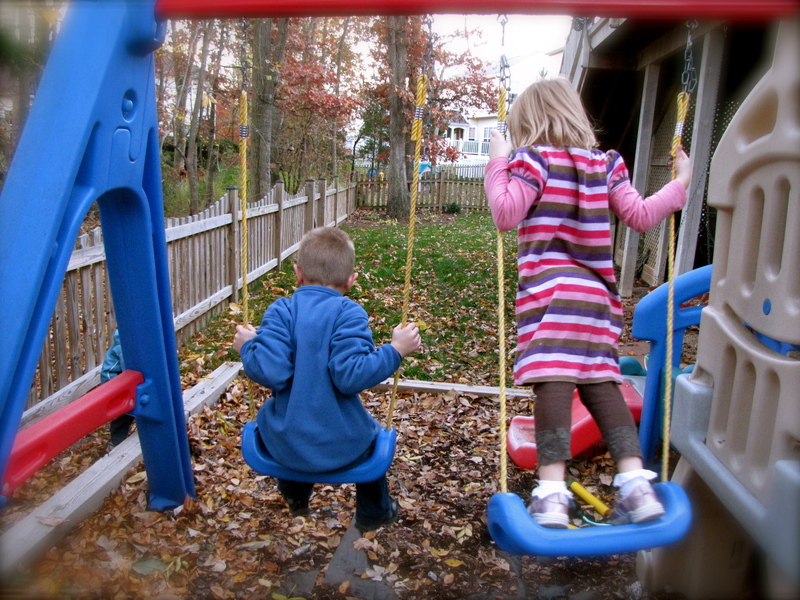 With weather like that, what choice did we have but to be outside? Maybe next week we’ll stay in. Unless it’s sunny and warm again. Then we’ll go out. 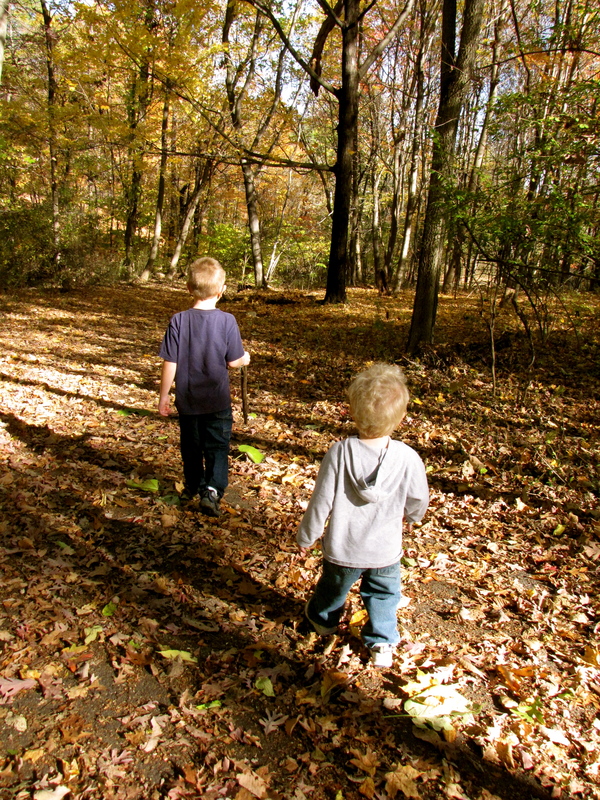 This entry was posted in F.I.A.R., homeschooling, Learning Spaces, nature. Bookmark the permalink. I looks to me like you guys had an awesome, rockin’ home educating week! What a great week-we had nice weather here and enjoyed it a lot! 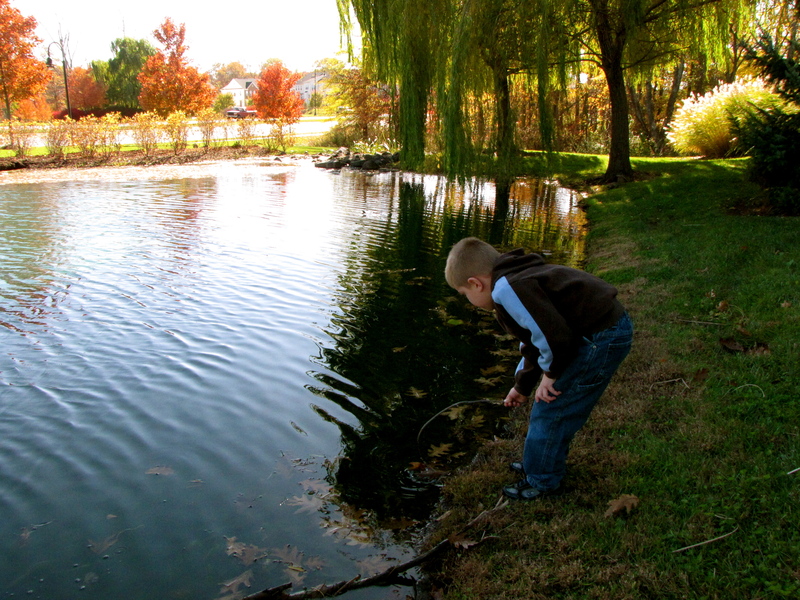 When they’re young, there’s no better place to be learning about science than outside!